Two of our incredibly talented artists who are painfully shy sit outside the art centre where they gather their painting materials before disappearing to paint. 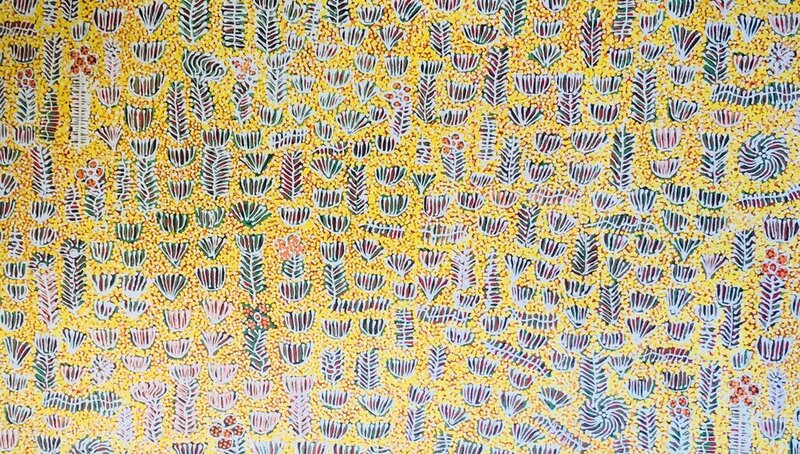 On their return they saunter in, often barefoot in clothes, they choose for colour and pattern, clutching exquisite completed works depicting the bush tucker and medicine of their Country. 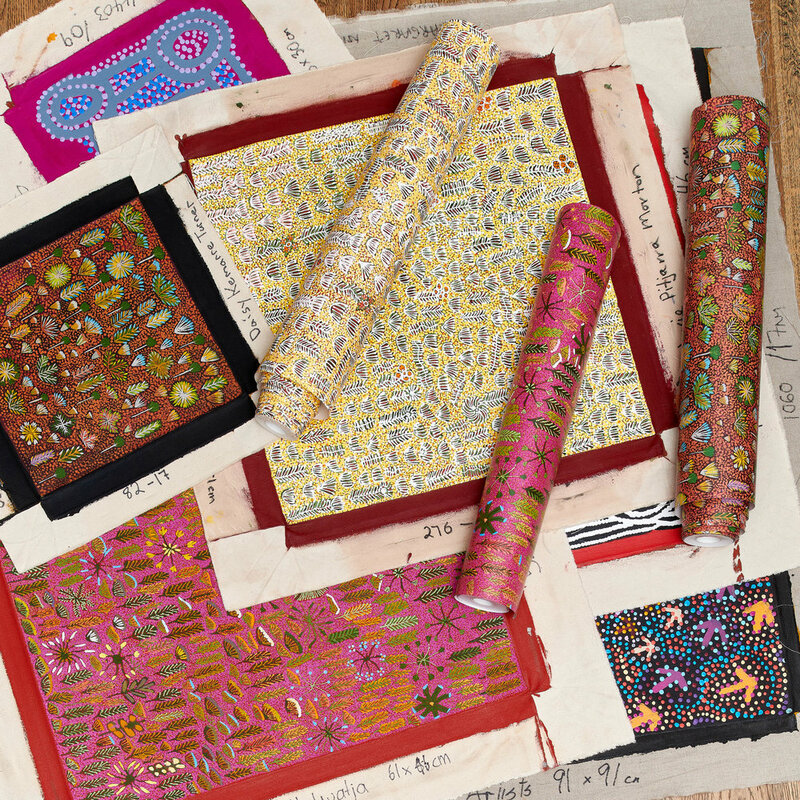 When we visit they are intrigued as to which work we choose to sell or translate into wallpapers. The painting on the art centre wall is inspiring us to upscale the next wallpapers in the collection! It is a huge privilege to work with these women who empower us through their tenacity, fortitude and innate talent. 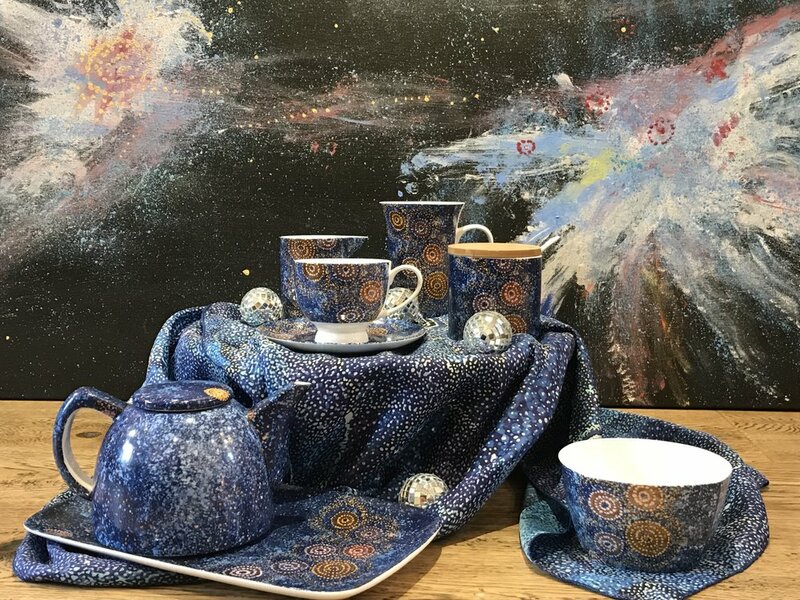 Funds from each wallpaper goes to them and other artists in the Community providing painting materials, healthcare, transport and schooling in both Aboriginal and Western cultures helping to bridge the gap. Our My Country wallpapers are on Houzz! Bay Gallery Home's award winning wallpaper is now on Houzz the home of interior design, decorating, renovating and building inspiration. Houzz discovered our wallpapers at Surface Design in February and we're delighted their intrigue lead to asking us to being on their platform giving our wallpapers the chance of being discovered on both sides of the pond. We have taken original artworks and translated them in coated non-woven wallpapers (made in the UK) producing an additional income stream for our artists and their art centres.